As an expert in RNA and genome biology, John Rinn holds the title of Leslie Orgel Professor at the University of Colorado Boulder. 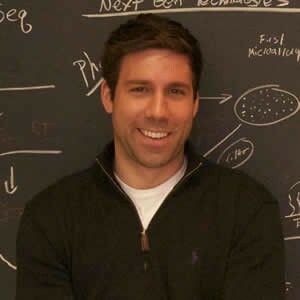 John Rinn’s current research focuses on better understanding how the human genome is regulated. In 2016, while a Professor at Harvard University department of Stem Cell and Regenerative Biology he was selected by the Howard Hughes Medical Institute (HHMI) as an early career scientist for his research into a mysterious class of RNA genes called long noncoding RNAs (lncRNA). Professor Rinn was one of ten Harvard professors to receive the HHMI early career scientist award. Founded in 2004, the Harvard Stem Cell Institute (HSCI) is dedicated to regenerative medicine and stem cell science. To this end, HSCI maintains eight affiliated hospitals and networks with more than 1000 Harvard-affiliated stem cell scientists. Recently, HSCI announced a five-year collaborative training and research agreement with Qatar Biomedical Research Institute (QBRI). Through the agreement, the two research institutes will focus on stem cell biology with the intent to establish viable treatments for type 1 and type 2 diabetes, a healthcare challenge gaining in prevalence around the globe. Scientists will form joint research groups, exchange knowledge, and translate advancements into clinical applications. The collaboration hopes to ultimately assist patients with type 1 and type 2 diabetes better cope with their condition through the production of new insulin-producing cells.